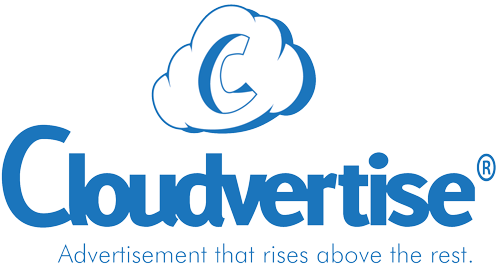 Cloudvertise offers guerrilla marketing strategies via skyvertising (sky advertising) that soars above the competition. Modern marketing strategies provide a basic way for companies to promote products and services toward prospective buyers. However, to cut through the noise and antiquated methods that are used to get the word out, business owners may need a new approach to remain visible to consumers. Marketing companies will often hype up the benefits of traditional marketing methods, such as newspaper ads, television advertising, radio ads and direct mail campaigns. Many years ago those promotional channels were very useful. Although, even to attract attention with traditional marketing, a viewer would need to see the product or brand name an average of seven or more times to finally take notice. Sky advertising is very different from ordinary promotional methods. This guerrilla marketing strategy works well, as the competition is extremely limited. Consumers pay attention to oversized aerial blimps and to airplane advertising banners. Because the sky is wide-open and rarely crowded with aerial advertising messages, business owners have a unique opportunity to connect with consumers. Marketers are constantly looking for new ways to reach millennial consumers. Positive identity with millennial buyers could lead to decades of loyalty and potential referrals. When working with a professional aerial marketing company, an entrepreneur could use guerrilla marketing strategies to attract targeted buyers. For instance, at a NASCAR event, a business that sold products, such as tires, motor oil or high-quality aftermarket parts could use Floating Clouds to soar above the speedway. As racing enthusiast are seated for several hundred laps, sky advertisements of logos, brand names and images may be formed with eye-catching Floating Clouds. Airplane advertising uses a lot of fossil fuels to pull banner ads and to perform skywriting. However, Floating Clouds are propelled with a gas that is lighter than air and safer for the environment. Without the added cost of fuel, Floating Clouds provide a more affordable method of advertising that is sustainable for longer durations. Floating Clouds can hover in normal conditions for up to five hours, however, the costs and the environmental effects of having a jet circling an event for a similar time frame is less beneficial. Additionally, skyvertising is ideal for guerrilla marketing strategies that are set up on the fly. With a limited amount of time needed to set up or to relocate the Flying Cloud Machine, we can help marketers with short-term or popup events.